Brunnen is a resort on Lake Lucerne in Switzerland, part of the municipality Ingenbohl (Canton of Schwyz). Brunnen railway station, on the Gotthard railway, is served by hourly Inter Regiotrains, and by lines S2 of the Stadtbahn Zug, which operates hourly between Zug,Arth-Goldau and Erstfeld, and S3 of the S-Bahn Luzern, which operates hourly to Lucerne. 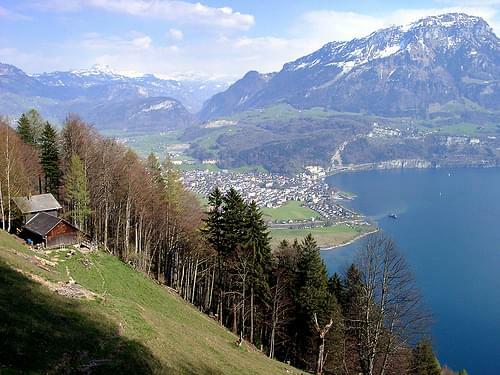 Brunnen also has a cable car that goes to the Urmiberg, a part of the Rigi offering wonderful views of Lake Lucerne and the Alps. 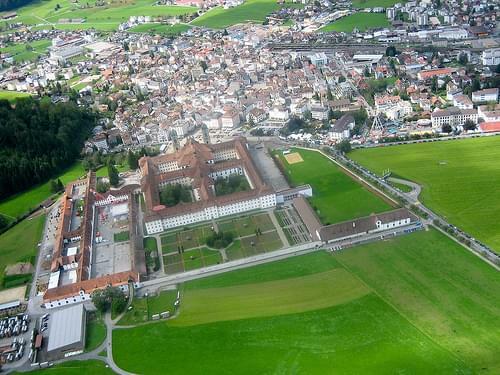 Winston Churchill spent his honeymoon in Brunnen. 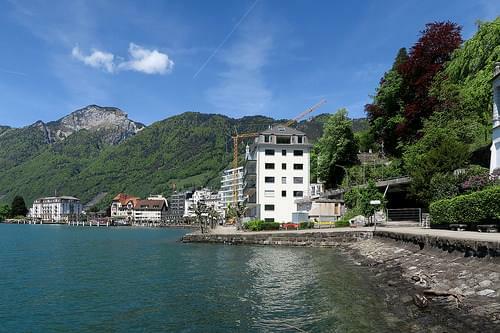 Wander through the central streets, then head to the lake to take in the breathtaking views of the surrounding mountains.